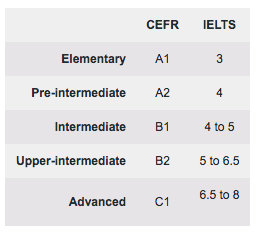 The levels have been designed with reference to the Common European Framework of Reference for Languages - the CEFR - and the table below illustrates how they map to the framework and how they relate to IELTS levels. Please note that the relationships shown in the table are necessarily approximate. This reflects the differences between writing prose for levels of ability, providing a framework for describing the achievements of learners and testing levels of English language proficiency. To describe the entire range of language ability in five categories means that they must be very wide and so there is some variation in difficulty between different readers within the same level.